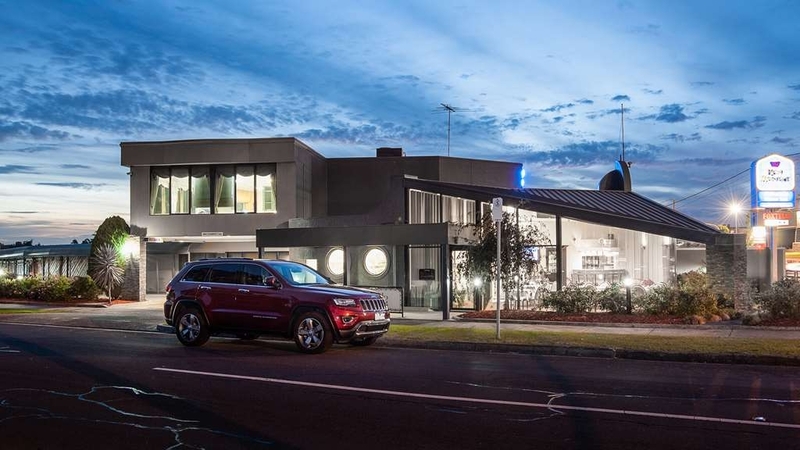 El Best Western Mahoneys Motor Inn se encuentra en el centro de Melbourne. Venga y disfrute de las mejores atracciónes turísticas cerca de nuestro hotel. Precios bajos garantizados y ofertas exclusivas. 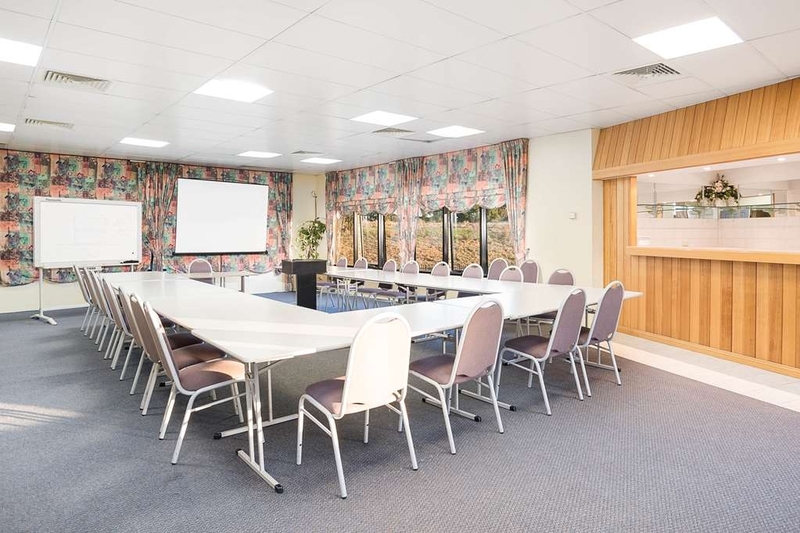 Alójese en este hotel del área metropolitana de Melbourne ubicado a 10 minutos del aeropuerto de Melbourne y a 20 minutos del distrito central de negocios de Melbourne en el tranquilo barrio residencial de Reservoir. 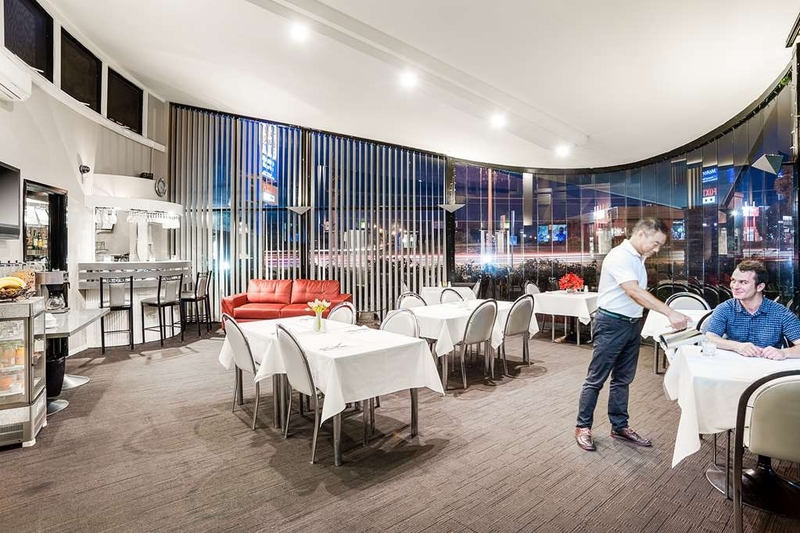 Este hotel de la zona norte de Melbourne se encuentra a 700 metros de la estación de ferrocarril y a poca distancia de varios recintos deportivos y los barrios residenciales Campbellfield, Thomastown, Epping y Somerton de Melbourne. 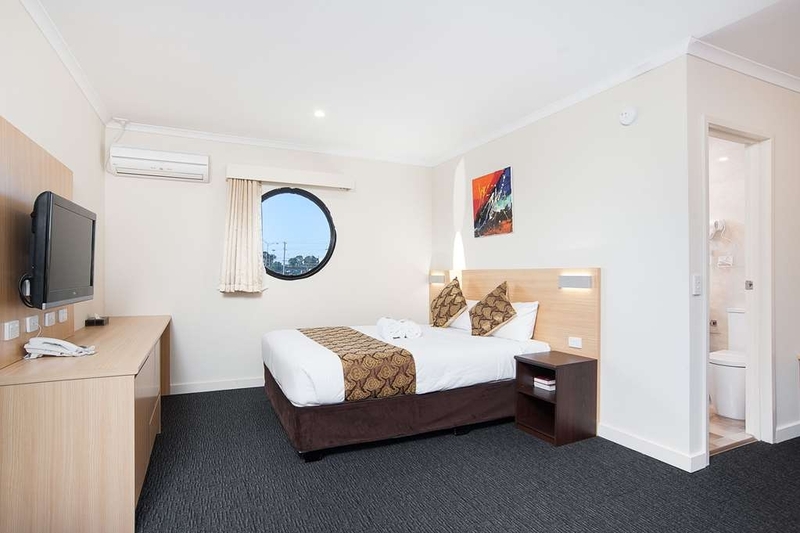 El Best Western® Mahoney's Motor Inn es un apacible hotel de 3,5 estrellas con instalaciones de congresos situado en la zona norte de Melbourne. Este hotel cuenta con 27 habitaciones equipadas de forma muy completa, unas modernas instalaciones de congresos, un restaurante con servicio de bebidas alcohólicas, servicio de habitaciones, acceso a Internet inalámbrico y televisión por cable con canales FOXTEL. Las instalaciones de congresos de nuestro hotel abarcan desde la sala Boulevard con capacidad para un máximo de 70 personas en distribución de teatro hasta la sala de juntas para reuniones o entrevistas. El restaurante de nuestro hotel es un lugar muy utilizado para todo tipo de conferencias o eventos por su entorno informal repleto de luz natural, su acceso al bar, su terraza al aire libre y el acceso a Internet inalámbrico. 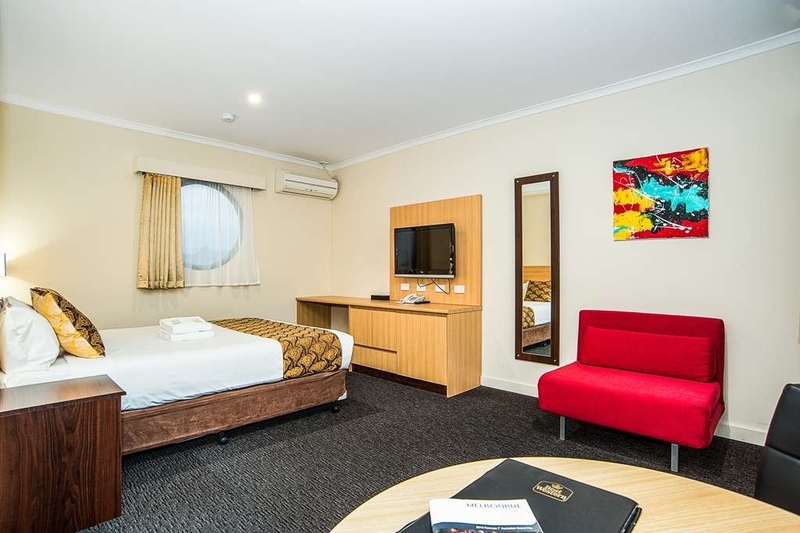 Si desea disfrutar de un servicio de atención al cliente de primera clase y de una céntrica ubicación en el norte de Melbourne, haga su reserva hoy mismo en el Best Western® Mahoney's Motor Inn. Wasn't a pleasant stay, located next to a creek which could have been responsible for the smell. Bathroom was facing that side and was so bad i left the door closed and decided not to have a morning shower. Motel room itself was clean but overly smelt of disinfectant. Was informed by the reception staff that their was no cooked breakfast .. but when i checked out i smelt food cooking. 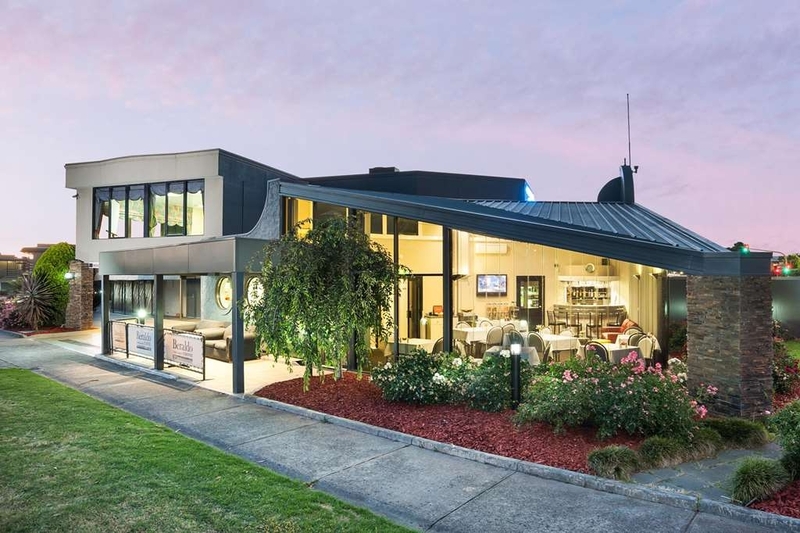 Need a place to stay in / around Thomastown? drive past this one. "A lady using it as a brothel"
Incredibly disappointed in this place, I have stayed in other Best Western motels and thoroughly enjoyed them. We booked with a cot as I have a 12 month old son, arrived and there was no cot in our room. Went down to reception to be told they have no cots but he can sleep in the bed. No he can't its dangerous and we requested a cot and were not contacted at any time to be told this was not possible. Ants on the bench and carpet, dirty walls, mouldy carpet, paint peeling off the walls and flaking on the carpet, and a exhaust fan in the bathroom louder than a train. We left the accomodation as there was no way we could stay the night in such a despicable place. I was looking for somewhere close to the reception venue and I read the reviews for this hotel before I booked. I must admit I was just a little worried about the quality of the rooms but it was in the best position and value. There is no view to speak of but it is very close to highways without the noise. I was really pleased with the service, the quality of the rooms and the price. We arrived in the evening and were greeted immediately and provided the key; a little issue of forgetting my cc pin number was resolved easily and without fuss. Room 24 was on the upper level and there is no lift so if mobility is an issue; remember this on booking. The room was clean, fresh, large enough for a couple and very clean. 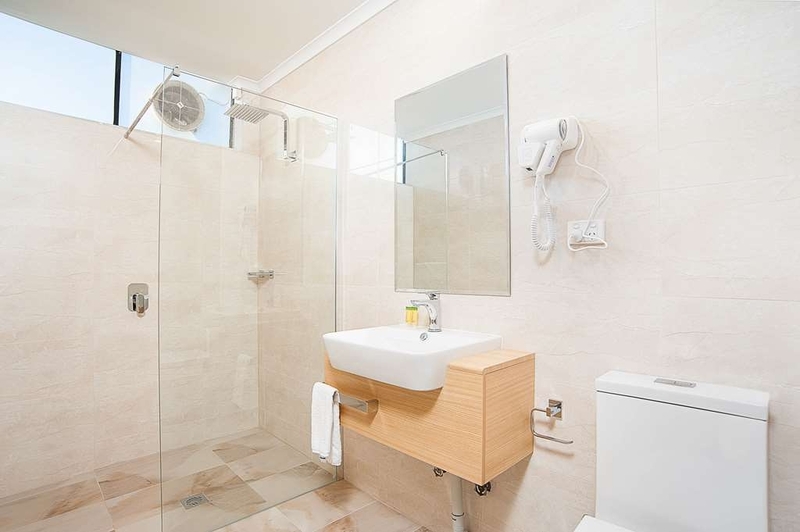 The bathroom has floor to wall tiling and the shower was lovely. We arrived back very late after the wedding and our room key did not work; this was again resolved very quickly after a phone call. The service was excellent. Victoria has the Grand Prix & a number of expos on same weekend so booking hotel last minute wasn't many options, best western mohony's charges 4% extra for Amex but doesn't advertise this anywhere, breakfast is very basic and nothing is fresh! It advertises a restaurant on site but don't expect that to be open either not even on a Friday night! Dissatisfied and won't be using this place again. "This is not a 4-Star property"
Hi all - Decided to stay close to Coburg for an event this weekend as the 1-1.5 hour drive for an early start was not necessary. I decided to book via airline points and saw this 4 star property within 5 minutes drive of our destination. Check in was quick - looked at my name, offered upstairs or downstairs, we didn't care so got downstairs. Key issued to room 5. This is where it got worrying. Heading towards the room, the rooms face each other in two stories. There were people sitting on the stairs, leaning over the balcony eyeing us as we entered. It appeared like I was entering a neighborhood and I was a new move in resident - where the housing was a few meters apart. The people outside were smoking and staring. Room 5 is in a little tunnel which was unlit. Entering the room, everything looked ok on first inspection. The bed was made - the sheets were disturbed by us - so don't judge on that. The bathroom really upset me - the amount of mould around the bathroom window really needs to be sorted out. The walls had a lot of peeling and damaged paint. The room has a good air conditioner that kept us comfortable. In terms of noise - there was a bit of carry on outside up until 9:30 but it was good and quiet for sleeping. Can't really blame the hotel for screaming children. The bed was good enough and sheets were clean. The TV was good - had pay TV and good reception. Tea and coffee provisions were good. The area is pretty rundown. We had dinner across the road at The Excelsior hotel - about a 10 minute walk basically across the road. In summary - this would be an OK property if they cleaned up the mould. It really affected the way I felt about this property. In terms of pricing, I can't provide any commentary as I used frequent flyer points. This is not a 4-Star property. "Nice - clean, good, easy stay"
This motel may look tired and dated outside but the room I was in, at least, was very modern and recently renovated to a good standard. 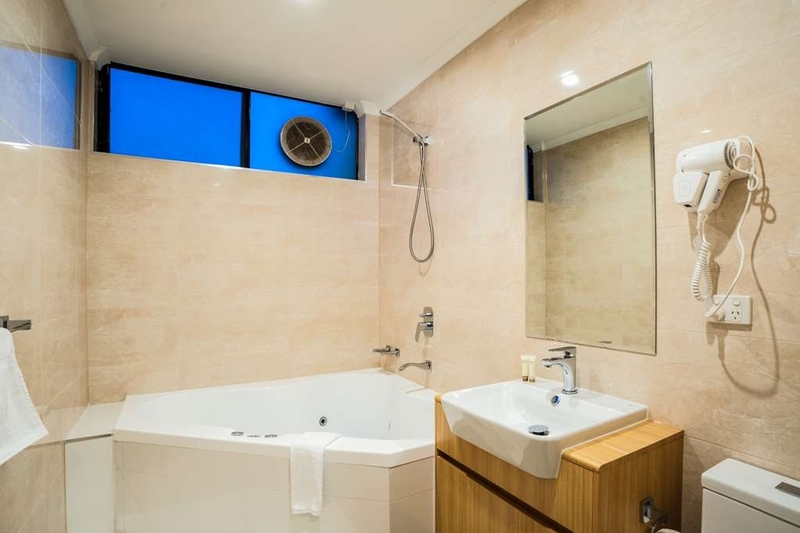 Rain showerhead in a well-sized bathroom, super quiet heating/cooling, sofa as well as table with a chair and comfy bed – not too firm, not too soft. And I was in their most basic room! Note: Had to take the stairs to get to my room, and not sure if there is a lift. May cause problems for those with accessibility issues. "Nice place to stay in the Reservoir - Epping area"
The room was comfortable. Bathroom recently renovated and was very very nice. The room did not have a bedside clock for checking the time during the night. Had the need to telephone reception, but the room phone did not work. The Motor Inn also had a restaurant, but the meal choices were limited. We walked across the road to the Excelsior Hotel, and enjoyed dinner there. The Motor Inn restaurant is also available for breakfast. Booking made over the phone and l was not disappointed. Disabled room had plenty of space, double bed very comfy (although it did move when getting into). 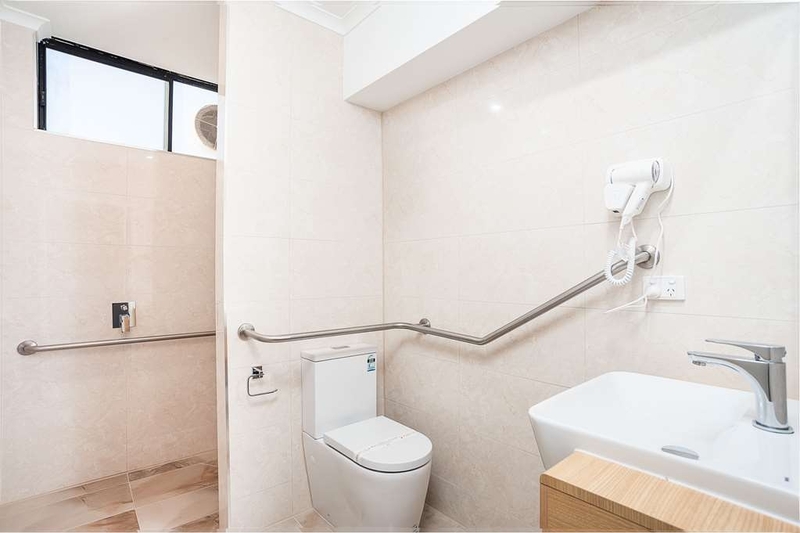 Bathroom was spacious and good access for frame, with good railing both in the shower and toilet. Parking for the car was also convent. The stay was ok , the fittings in the bathroom where faulty towel rack , the vent in the bathroom was clogged it looked like the bathroom was leaking at some stage with extra silicon around bath/shower not the same colour, doggy repair. The bed was comfy and not to noisy. Breakfast was disappointing . I probably won't stay again . Did not feel safe staying here. It's a little grotty room in a grotty area! Receptionist was friendly. Parking is free and good, as it's just outside your room. Not located near any attractions. There were small fruit flies flying around the room, they stayed and shared the room with me. The room that we had was on the ground floor and was furnished very well. Although it is located on a main room there was no traffic noise at all. The husband and wife owners are very friendly and will go out of their way to help. My wife asked for a dish that was not on the menu and the request was granted immediately. 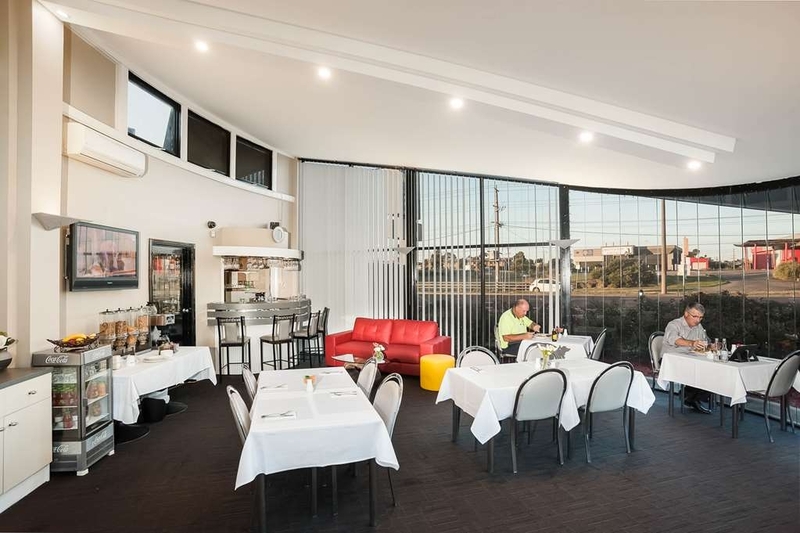 "Nice and quiet with lovely Managers"
Across the road from the Excelsior Hotel and close by to a family wedding held at the Old Chapel in Bundoora Park. Other family members stayed at the Excelsior Hotel but their rooms were too close to the Hotel, carpark and noise. 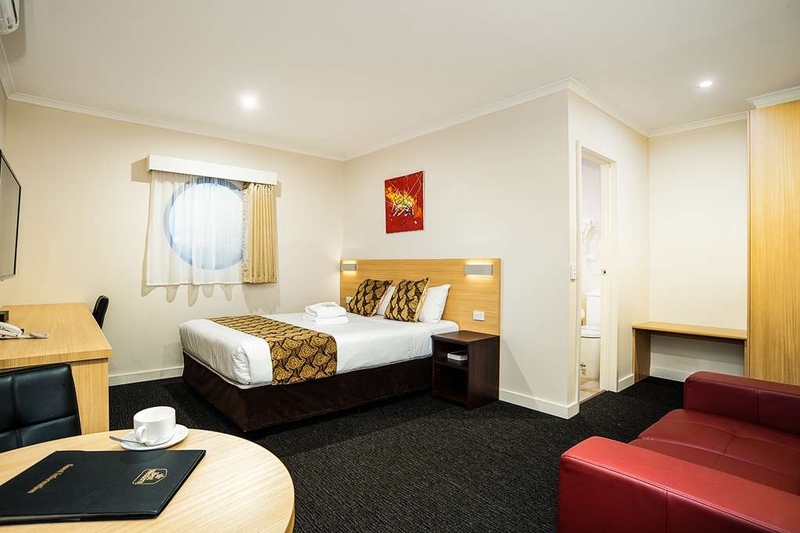 Our rooms were very clean and comfortable with car parking just outside your door. Husband and wife managers were very helpful and obliging to any request. Has a cosy onsite restaurant and bar as well. Much nicer all round! Stayed 2 nights and the checkin staff were very welcoming and helpful. Room was very clean and bed comfortable. bathroom was large & clean. Room had tea & coffee making. Ample undercover onsite parking. Excelsior Hotel was across the road which was a plus. Continental breakfast (additional cost at $18) was good. Luckily we got a room on the first floor, making parking easy. Room was small but neat. Had two sets of privacy shades on the windows. Bathroom was modern and lovely, but once you switched on light/fan, the smells were terrible. One day it was sewerage, the next day it was onions. Did not provide face wash cloths. Had an overnight stay here with my husband. Check in staff were polite and the room was nice and clean. Breakfast is available for extra. Bed was comfortable, but there were no electric blankets on bed. "Had a wedding to go to. " Our check-in took waay too long there was confusion with our booking they couldn't find it and telling us they were booked out. They sorted it and we got our room. Very clean and tidy. Comfy bed. Staff helpful and friendly. As a guest who didn't smoke the biggest problem i had was ventilation of the room , it smelt like smoke daily and the windows didn't give it good enough ventilation which was a shame as the hotel was quite nice. The spa room was nice and spacious and would happy stay there again if the room could be better ventilated during the day when i was working. Very comfortable rooms, obviously recently refurbished. Bed and pillow was extremely comfortable. Had a cooked breakfast as well as a dinner in the motel restaurant and both were very good. A fairly easy walk to Keon Park train station for getting into the CBD on public transport. Note: restaurant does not do dinners Friday and Saturday nights. "Upgraded motel with excellent Manager (Donald) who helped me check in at 1:30am." Rooms all renovated from last stay a year ago. The hospitality equal to any 4 star establishment. Overslept due to midnight arrival but the Manager still cooked me a delicious breakfast at 10:30am. Highly recommend if you need assistance, ask for Donald. The room was great for the price point. HOWEVER ... Our family was placed next to a room full of people who smoked ALL NIGHT out on the shared balcony - there are ashtrays placed outside each room by the motel. So people are smoking all night (3 nights in a row), and the smoke drifts into nearby rooms, including hours. Not great if you have young kids! As well as the noise that all of these smokers caused by chatting right outside our door while they were puffing away. The whole experience was not conducive to a restful stay. SUGGESTION TO HOTEL Have a dedicated smokers area THIS IS NOT DIRECTLY OUTSIDE OTHER PEOPLES ROOMS. Not rocket science, really. Very clean and well presented , the only problem we had is the fact that the toilet was constructed so close to the wall literally 5cm from it , it made it hard to use and a lack of bins but the establishment it self was very very neat and tidy, amble packing Free WIFI . Housekeeping was good i would use again for sure . It was suitable for us. Room and Linen is very clean comfortable air condition works well. Good television and channels. Nice bath. Service on the room is great. Loud dog near footpath (extra security!) we did t hear him otherwise. so walk on road instead. Quiet place. Good to get away. "Very new clean and excellent value"
Obviously location-wise, this is out in the 'burbs, and not the nicest 'burbs at that! But if it's anywhere near where you need to be, I found this a great place - smallish room - but very modern, newly renovated, super clean, comfy bed, great roomy shower, friendly owner / or manager, beautifully quiet air conditioner, even the room fridge is quiet (a usual bugbear of mine!). And a reasonable tariff - what more could you ask for? I and my other family members stayed there in 2 rooms for 3 days on September . I read few reviews before I book the motel and saw people commenting about the bad services but we found is excellent . all the rooms are renovated and looks brand new , we had 1 spa and 1 normal room were clean and tidy. we ordered dinner in the room that was delicious. overall whatever the money we paid is worth it. if you are looking for motel with the high quality and reasonable price go for it . "Best place i have ever stayed "
We stayed 2 nights in spa room , that was perfect . New and clean room , all refurbished. Great customer service with lovely smile. And we had a dinner that was delicious. Highly recommended for everyone. "Ripped off and left on the street"